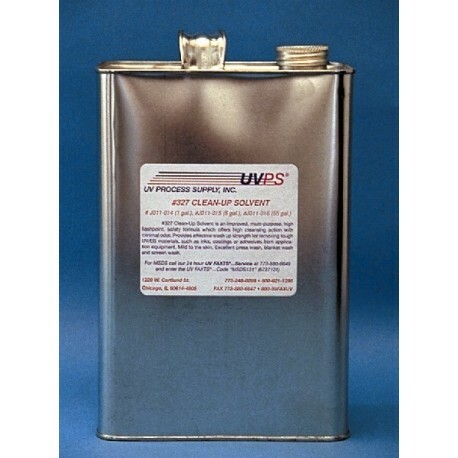 UV CLEAN-UP SOLVENT 327 has been reformulated for better acceptance with corporate safety programs. Offers high cleansing action with minimal odor. 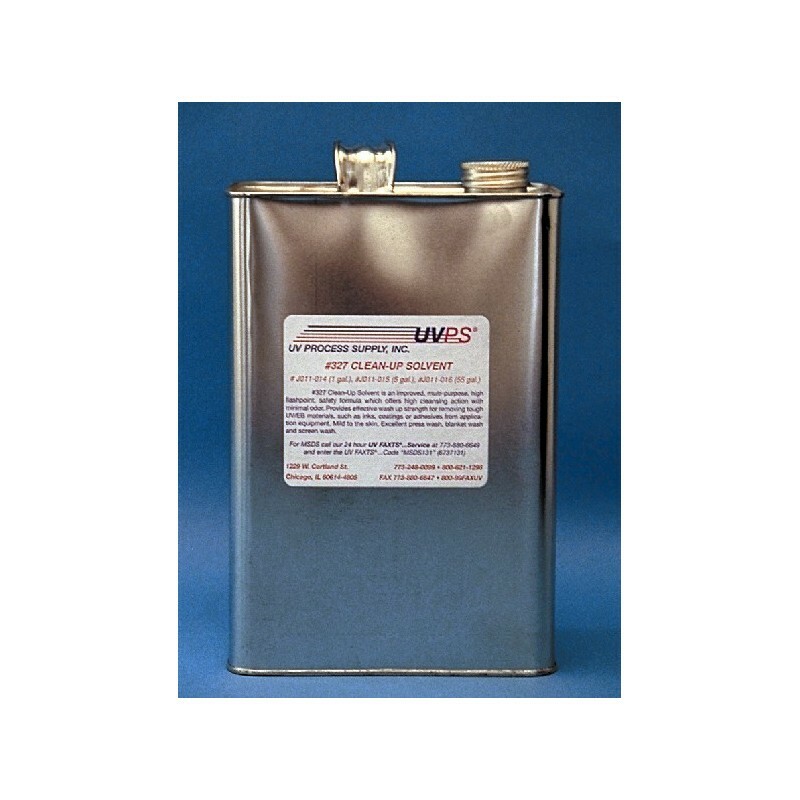 Ideal for removing UV/EB materials, such as coatings, inks or adhesives from application equipment. High flashpoint. Available in 1, 5 and 55 gallon containers.